It is no longer going to be the era of the physical micro or nano sim cards which you currently have in your phones. New types of electronic sim cards are going to be launched in the market,which Apple and Samsung have decided to adopt. These sim cards will prove to be lot more easier and faster for the switching carriers and have lots of advantages over the physical sim cards. Here, we will unravel some of the hidden mysteries behind the eSim and see whether they will be actually helpful and efficient as they claim themselves to be. Many other companies, such as AT&T, Vodafone, Orange and Verizon are also adopting to eSim. 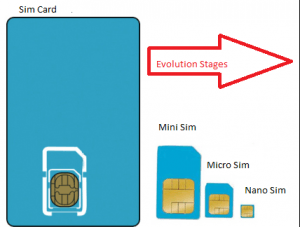 eSim is not the actual physical sim card which requires introducing it to the device manually, for it to start providing the required services. eSim comes already built in to your device. The information which is provided by it is rewritable and submissive to all types of operators. The technology that is involved in eSim is GSMA. What are the advantages of eSim? Upgrading devices becomes a lot more easier. Suppose that the device you are currently using supports only micro sim. If you are moving on to a new device that supports nano sim, you will have to follow up the process of cutting the sim card before inserting it in the new device. This need not be the case for eSim. All you have got to do is register the new device, and you are done. You can refrain yourself with all the mess of switching all information between the two devices. Switch Carriers or data plans within same carrier. A lot of time can be saved in switching carriers in case of eSim. You might prefer switching carriers whenever you feel the current one has poor customer service,they cost too much or they don’t support 4g services. This can be done easily by just making a phone call to switch carriers or data plans with eSim. Whenever you land to any foreign country,you can keep making use of local lines and receive calls through them as if you are still at home. Wondering how? There are already certain devices like Samsung Gear S2 smartwatch which has built in sim cards like those of eSim.They allow you to connect multiple devices to be used as a phone, irrespective of their size. eSim is going to contain two parts – one for tablets,wearables and devices, while the second part explores Smartphones.The first part will help you to connect multiple devices to a single plan, even while keeping up with the carrier you have chosen. The second part will probably be revealed by the end of 2017. The eSim is going to hold profiles of multiple telecom companies, which would help you to obtain lines from various different carriers. This is going to be exactly like how you are holding two or three sims in the same device. Multiple profiles of various companies can run simultaneously ,but only those which you are currently using will be activated. How To Get A New Line For Your Device? If the smartphone or tablet is directly bought from a carrier, you can program it right away from the store. If you are already equipped with one, then the carrier will automatically set up websites and apps for you when you switch on to a new line.